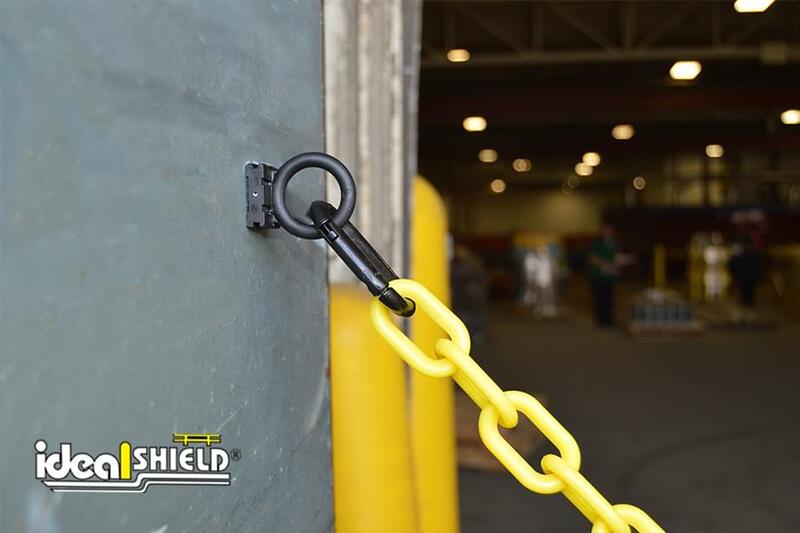 Available in two bold color options (Yellow and Red), our 2″ Plastic Chain is only available in 25’ or 50’ chain lengths and comes with a five year “no fade” guarantee. 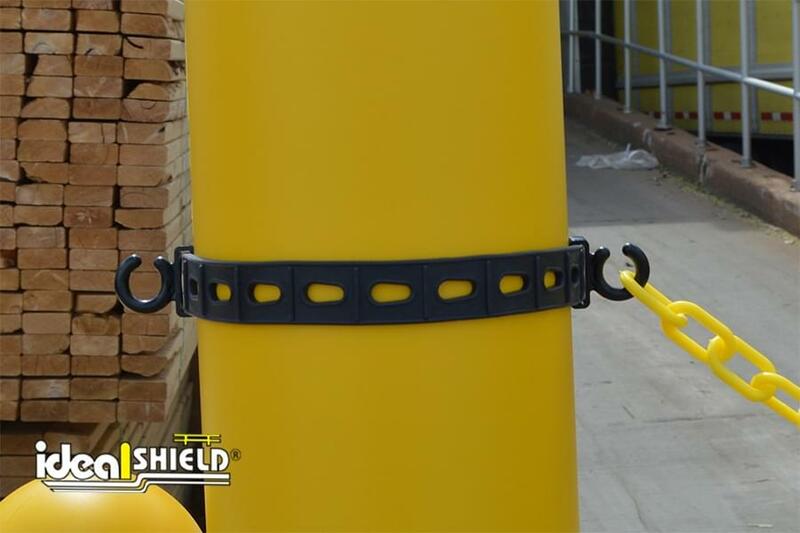 The Bollard Connector Kit comes with two bollard connectors, which are made of an HDPE and rubber blend, as well as 25’ of 2” Plastic Chain made of yellow HDPE Plastic with UV Protection. 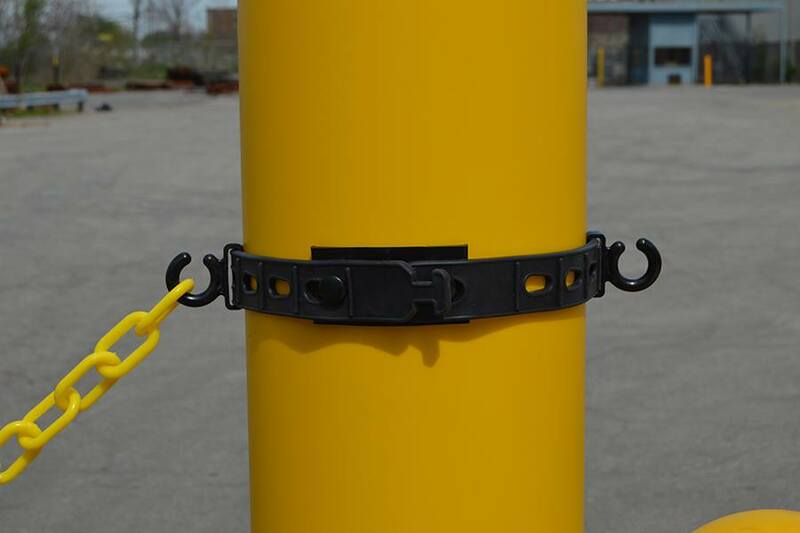 Bollard connectors are two flexible straps that easily wrap around bollard posts, or bollard covers, by fastening buttons through the hole at the desired length. The connectors feature slide hooks on each strap for easy chain installation. 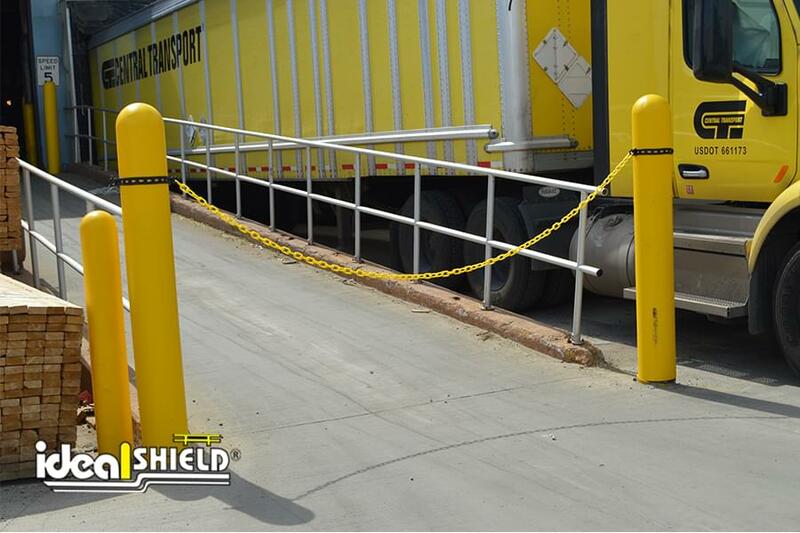 Users can also align the connectors to either set up a straight-line chain link barrier or set up a makeshift chain corner. 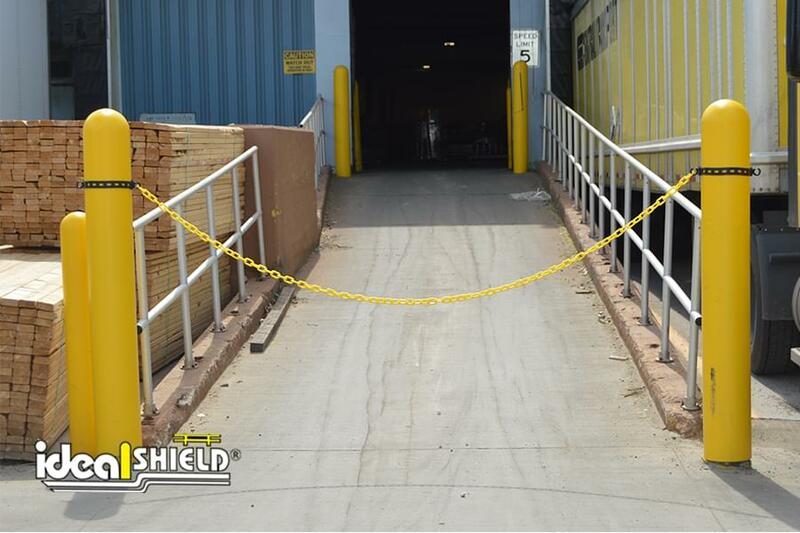 The Loading Dock Chain Kit is an economical, quick install, visual barrier that is designed to make it as simple and easy as possible for workers to set up visual restriction barriers. The kit features 2 ring/carabiners with Neodymium magnets and 10’ of 2″ Plastic Chain with two end clips. The magnet rings are only available in Black while the Plastic Chain is only available in yellow. 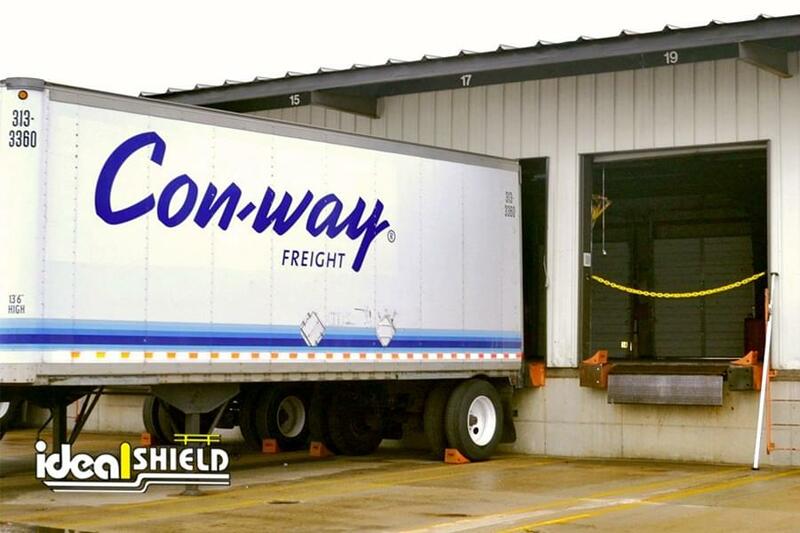 Aisle Ways at retail stores, grocery stores, warehouses or distribution centers. What color chains are available? 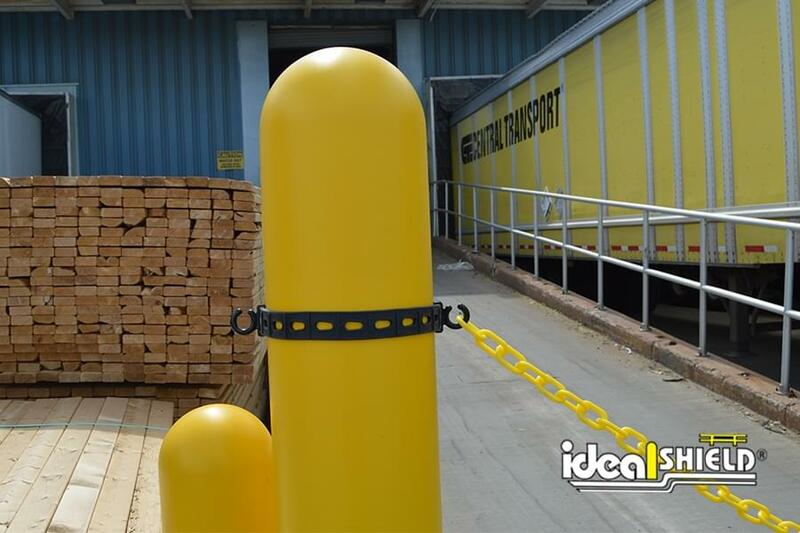 Ideal Shield offers yellow or red chains for the standard 2" plastic chain. 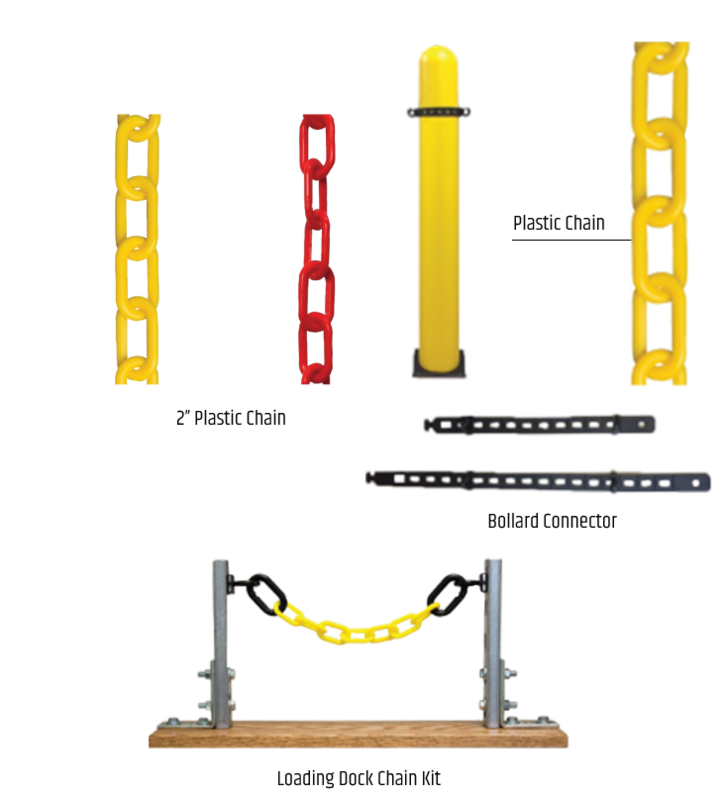 With the Bollard Connector Kit and Loading Dock Chain Kit, yellow is standard. How do I install the Bollard Connector Kit? 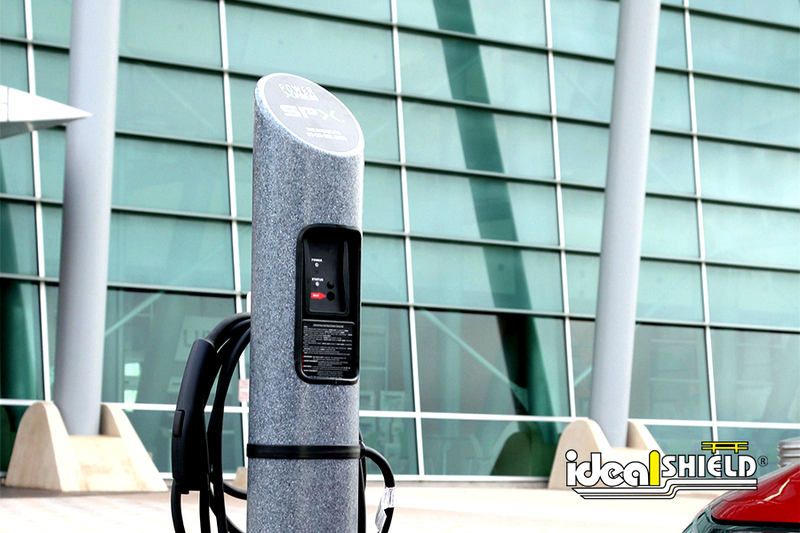 Bollard Connectors wrap around bollards by fastening end buttons through the hole at the desired length. Plastic Chain is then fastened onto the end hooks. 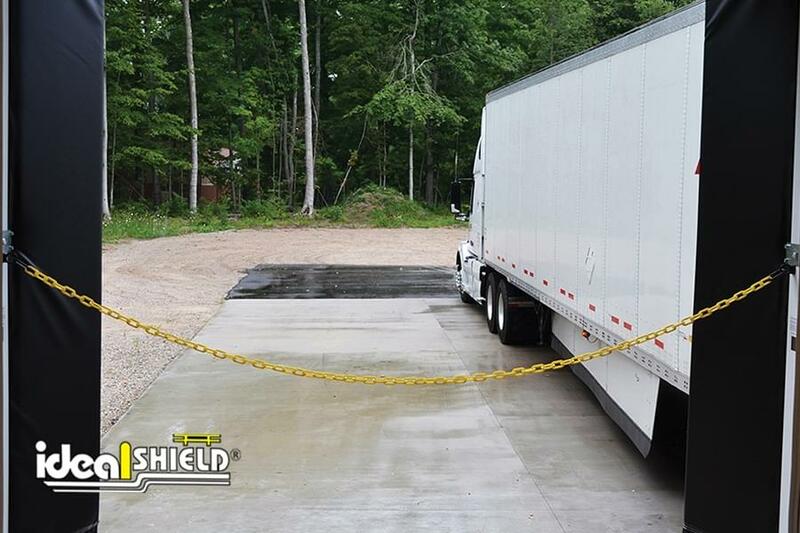 How do I install the Loading Dock Chain Kit? 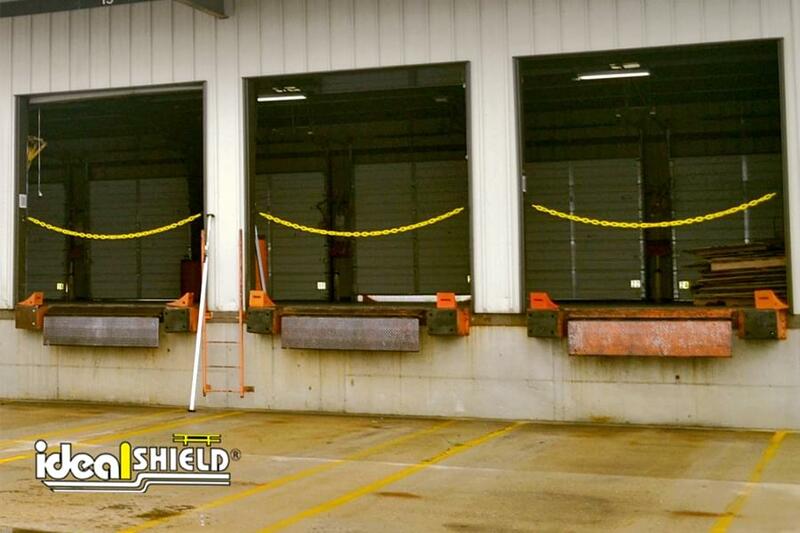 Attach magnet rings to sides of the loading dock. 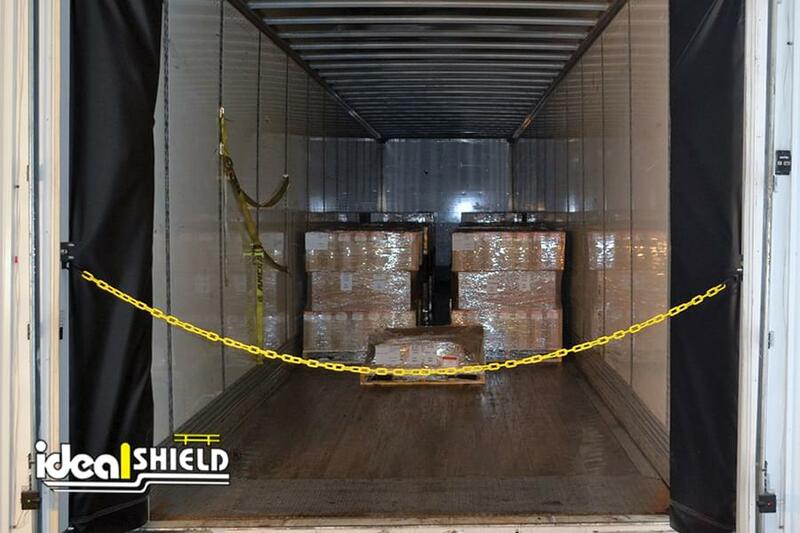 Attach end clips to each magnet ring on both sides of the restricted area.